Elda Burke, a service airport worker, stands outside Chicago’s O’Hare International Airport after finishing her shift. She earns $6.50 an hour, less than the state’s $8.25 minimum wage, and relies on tips to try and make up the difference. Photo by Marta Garcia. On a breezy Friday, Elda Burke and a co-worker waited at Chicago’s O’Hare International Airport for a plane to arrive from India. Onboard, there was an elderly couple who would need her help getting through customs, baggage claim and to the curb to hail a cab. Burke is one of the people who push wheelchairs from gate to gate for people who are disabled or elderly. It’s a job where workers rely on tips, though many customers don’t know it. And federal law prevents workers from asking. It had been a particularly slow day for tips, and Burke hoped this incoming couple could change her luck. But by the end of her eight-hour shift, she had only $11 in tips. That, along with what she earned each hour, made her take-home less than the state’s $8.25 hourly minimum wage. But when Burke received her paycheck, her stub showed that she had met the state’s minimum wage standards. Not only was her employer underpaying her and reporting an inflated tip wage to the Internal Revenue Service, but Burke said she would have to pay income taxes on money she had never received. Burke may not be the only airport worker impacted. Few claims have been filed in recent years with the Illinois Department of Labor against companies contracted to work for tips at O’Hare and Midway airports. But a new report by the University of Illinois at Chicago shows that of 113 tip workers surveyed, at least 62 percent of them didn’t earn a minimum wage, according to Robert Bruno, a professor of labor and employment relations who co-authored the survey. More workers could be impacted as Chicago’s airports employ thousands of local residents, including about 1,000 who earn tips, like service workers who push wheelchairs and curbside baggage handlers. Among all workers at the airports, more than 32,281 workers at O’Hare earn less than $1,250 each month and 10,587 employees at Midway, according to 2009 local employment data. The problem is not unique to Chicago. Officials in Los Angeles, San Francisco and San Jose, Calif., in the past 10 years successfully passed laws to force any contractors who do business with the airports to pay a living wage, which is higher than the state’s minimum wage. Two Chicago aldermen this fall have proposed ordinances that would do the same, but those recommendations have gone nowhere as of yet. These problems with underpaying workers stem from federal labor law that allows employers to label workers as “tipped,” which allows them to be paid less than minimum wage. Employers are allowed to estimate workers’ tips to determine how much tax to withhold. But many employers use the estimation without verifying how much employees actually earn, Sonn found in his 2009 national study. The tips that employees receive are credited toward paying the minimum wage. If the worker doesn’t bring in enough tips to earn a minimum wage, employers are required to pay the difference. But there is widespread abuse because of the complexity of these rules and since most tips are given in cash, it’s difficult to keep track, Sonn said. That is part of the problem in Burke’s case. She earns $6.50 an hour and needs to get at least $70 per week in tips to earn minimum wage. On average, she makes $50—or $100 every two weeks. Burke said her employer, Prospect Airport Services, reported to the IRS that she earned an average of $100 to $140 in tips every two weeks, according to her check stubs. But that wasn’t often true, Burke said. Thomas Murphy, outside general counsel for Prospect, said the company asks every employee to fill out tip forms. By reporting these tips, the company can accurately report wages to the IRS and pay workers the difference if they don’t meet minimum wage. Murphy denied allegations that the employees are not making minimum wage. Most employees don’t fill out these forms, and it is not feasible for the company to ask every employee how much they’ve earned in tips, he said. The company assumes employees earn at least minimum wage and report it to the IRS, he said. Tipped workers face an additional problem in that they must pay taxes on this income that they say they never earned. For example, median income for tipped airport workers is $15,500 annually, the survey found. One worker the Reporter spoke to on condition of anonymity provided W-2 federal forms for 2010 showing that he had earned $17,000 in taxable income, though he said he hadn’t earned that much. Chicago airport workers are not alone. In Houston, for example, service airport workers earn between $5.25 and $6.35 plus tips. A handful of airports on the West Coast have enacted living-wage ordinances, requiring contractors to pay a minimum of $10 an hour without health benefits to employees, Sonn said. Other airports have implemented similar ordinances, such as Los Angeles International Airport, San Francisco International Airport and Mineta San Jose International Airport. Locally, freshman Alderman Jason Ervin, of the 28th Ward introduced a living-wage ordinance in October that, among other things, would require contractors who do business at both of Chicago’s airports to pay a living wage of $11.18 per hour. In September, 3rd Ward Alderman Pat Dowell introduced a similar ordinance that would force contractors to pay the prevailing wage, which starts at $11.90 an hour for janitors. Ervin said he’s received a lot of support for the ordinance with 30 aldermen co-sponsoring it. Dowell’s ordinance has 15 aldermen co-sponsoring it. Both ordinances have been sent to the Committee on Workforce Development and Audit. The Illinois Department of Labor is investigating three minimum-wage violation cases filed in 2010 against Prospect Airport Services and also against Air Serv Corporation, said Anjali Julka, a department spokeswoman. The status of those cases was not immediately available. Burke has been working for Prospect for nine years. She, along with a group of Prospect workers, decided to form a union and report Prospect to the Illinois Department of Labor. 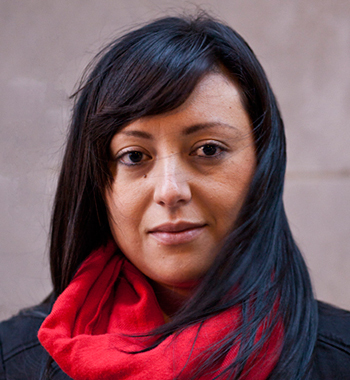 At the beginning of 2011, the workers began talks with SEIU Local 1 and are still in the process of starting a union. Prospect settled a class-action lawsuit in 2009. The lawsuit was filed a year earlier by two employees at O’Hare but benefitted plaintiffs in other cities. Workers who handle curbside check-in accused the company of not paying them minimum wage. The lawsuit was settled out of court in 2008. Prospect agreed to pay $355,000, according to court records. 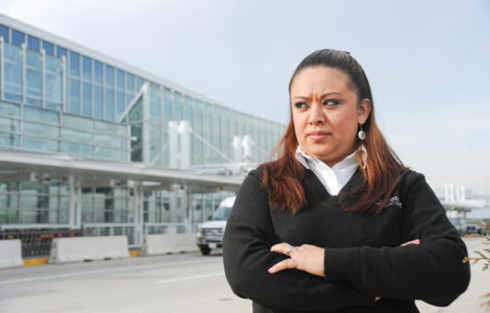 Prospect workers at O’Hare received $109,203, according to the records. Marc Siegel, the lawyer representing workers in Chicago, declined to provide details about the settlement. Service airport workers say they aren’t asking for much—just fair wages. “We are only asking for minimum wage and one paid sick day. That’s not much. We are just trying to survive,” Burke said.